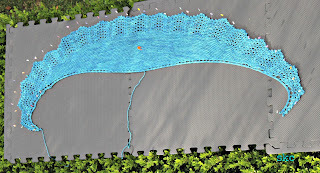 I also wanted to share the process I went through to knit it, because I learned such a lot about having another go, and about having the right tools for the task with this project. I have been reflecting recently that I really love how the knitting podcasters I listen to share their mistakes and the way they need to re-do things. 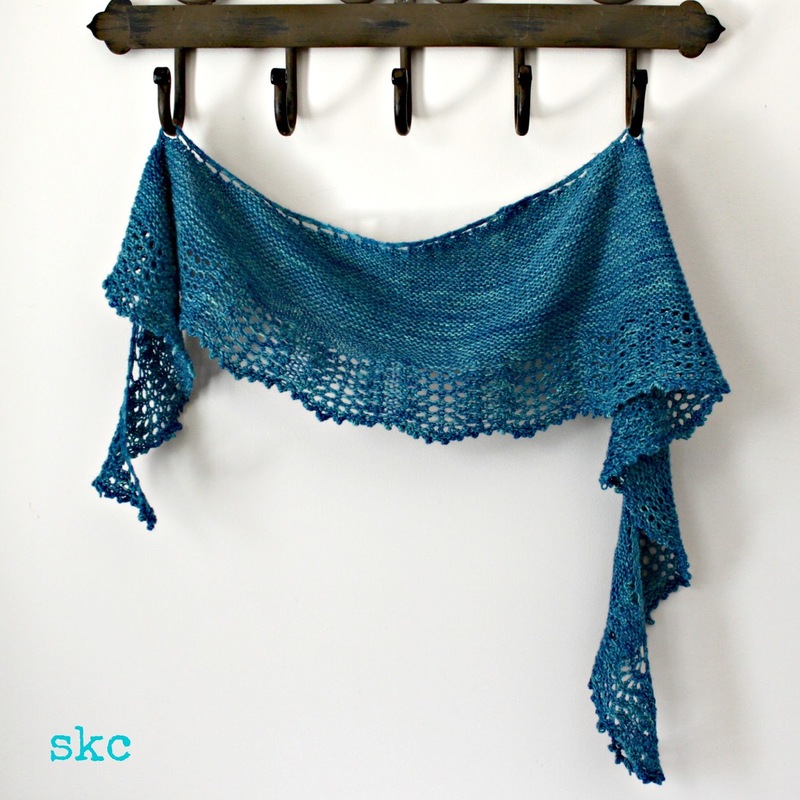 Because then I know that mistakes and re-doing is perfectly normal, even for really experienced knitters. I'm far less experienced, so it really helps me take it in my stride and understand it as a learning process. 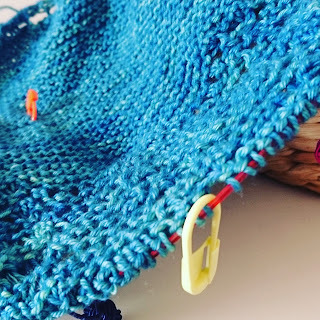 Recently the Knitmore Girls had an interesting discussion about having the right tools for the project, and how much difference that can make. I *think* it was episode 426. I attempted and gave up this pattern last year. I could not seem to master it. I love the new layout. Meg's patterns are always clear and easy to follow, but this version is even better than the first. All of the pattern instructions are on one page, including any of the abbreviations. The chart also has the chart codes on the same page, right next to the chart. 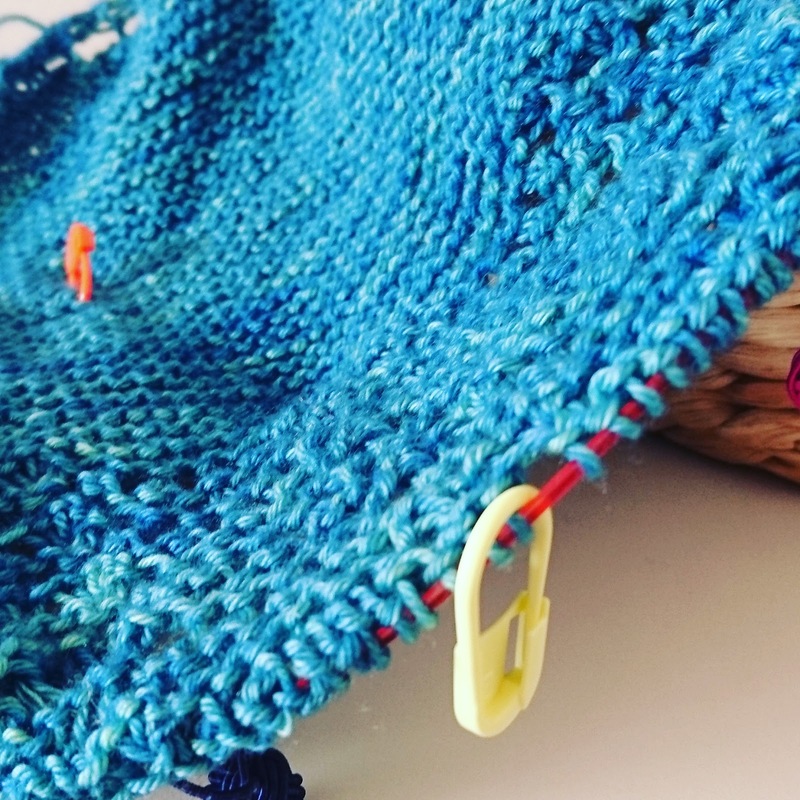 I'm not a confident chart knitter, but I am steadily becoming converted - I love working from visual cues that mean I don't have to wade through lots of words to find where I'm up to! If you haven't tried knitting from a chart (instead of reading the instructions) this would be a great pattern to start with! This time, I knit the pattern in a miraculously short time! Just a few weeks (for me, that's miraculous). 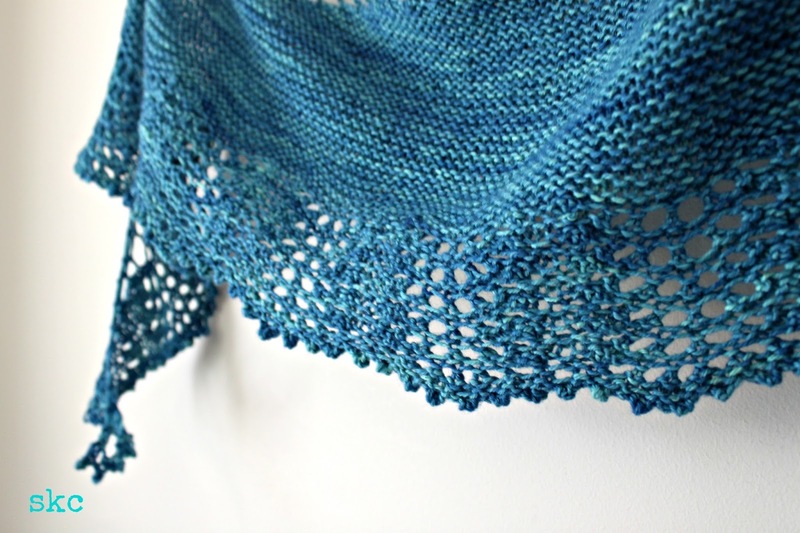 I had such a lovely time knitting it, and realised a few things that had made the project so much easier. I wanted to share them with you in case it helps you in your knitting adventures. 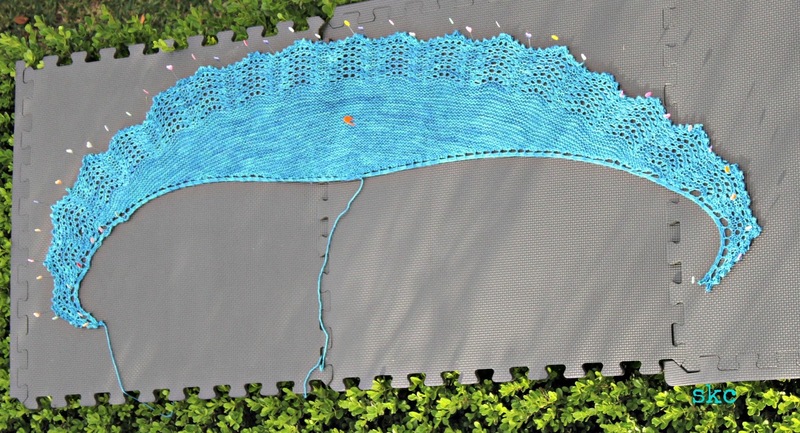 The pattern is really not that tricky, however, it does have a fiddly knit-4-together manoeuvre that takes a bit of patience. It is a beautiful yarn but it has now told me that it never wanted to be a shawl in the first place. It really wants to be socks. It's quite a tough yarn. I've tried to knit it into a couple of different shawls now, with no success (probably not the yarn's fault really...perhaps more to do with limited concentration...). Every time I've ripped it out, the yarn has bounced back, sturdy and strong! Impressive really. It's a merino / nylon blend. The Nylon means that the yarn will wear well for socks - no holes! But not the best for this pattern. 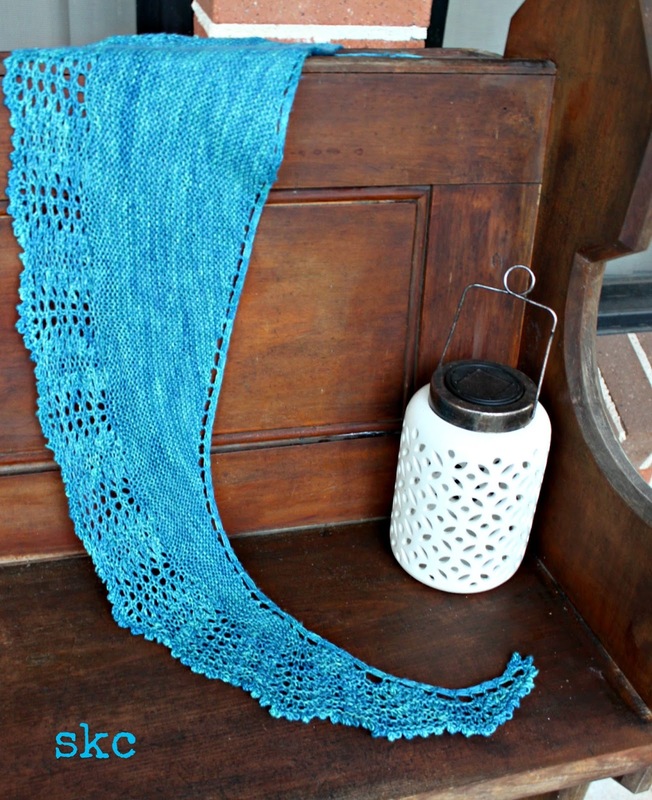 This pattern really needed a yarn that had a bit of give in it. 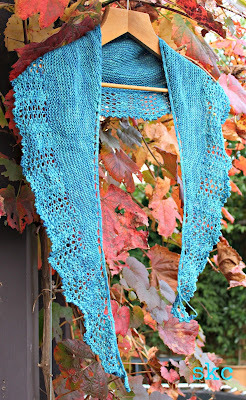 When I tried again with the Dingo Dyeworks it was a totally different experience. I used Fair Dinkum in Mandalay, which is 100% Merino. 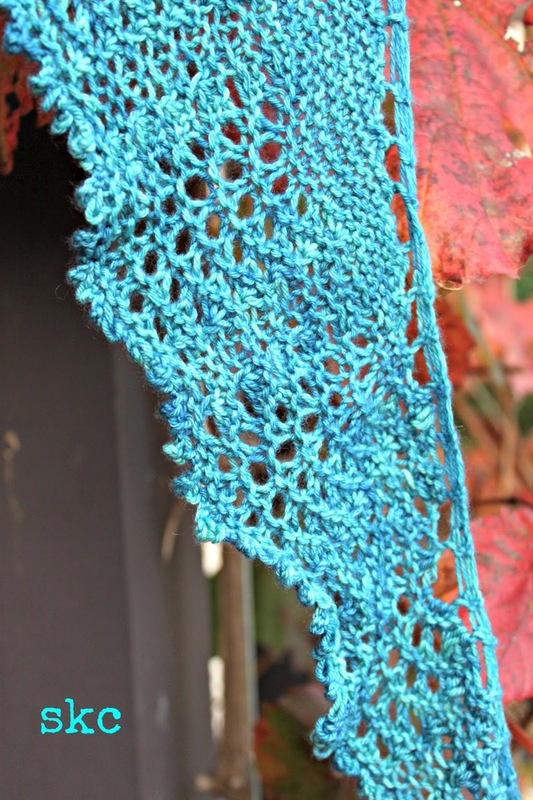 Last year I used my beloved Symfonie Knit Pro needles. I just love knitting with these - they are bamboo so they are so nice to work with. They have a good tip for most projects and they are pretty too! They simply don't compare to the needles you can get a Spotlight (which I just can't bear to use now...) and they cost a similar amount. But I think that the needle just wasn't sharp enough to get through the 4 stitches. This year I was using my Karbonz carbon fibre needles - they have a metal tip, and they are a little sharper than the Symfonie. It wasn't a deliberate choice, they were just the needles I could find at the time! 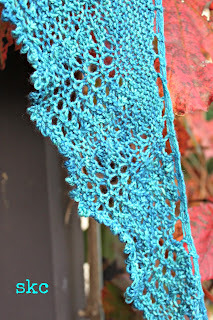 I did order some finer tip Chia goo lace needles but they didn't arrive until after I'd finished the project. They may have helped more, but I suspect that the very fine tip may have resulted in my splitting the yarn more (I was already doing it a bit!). They came from Yay for Yarn which has cheap shipping on needles! 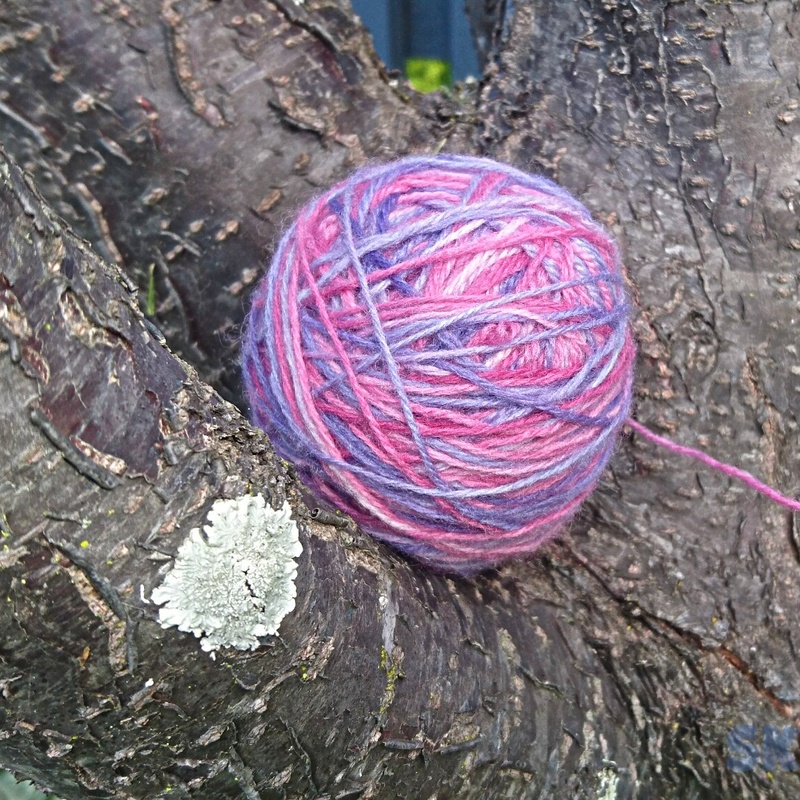 I get most of my needles from Tijuana Alpacas - they also have a great Ebay store. Blocking out the lace - it's like Magic! Did I mention my limited concentration abilities? 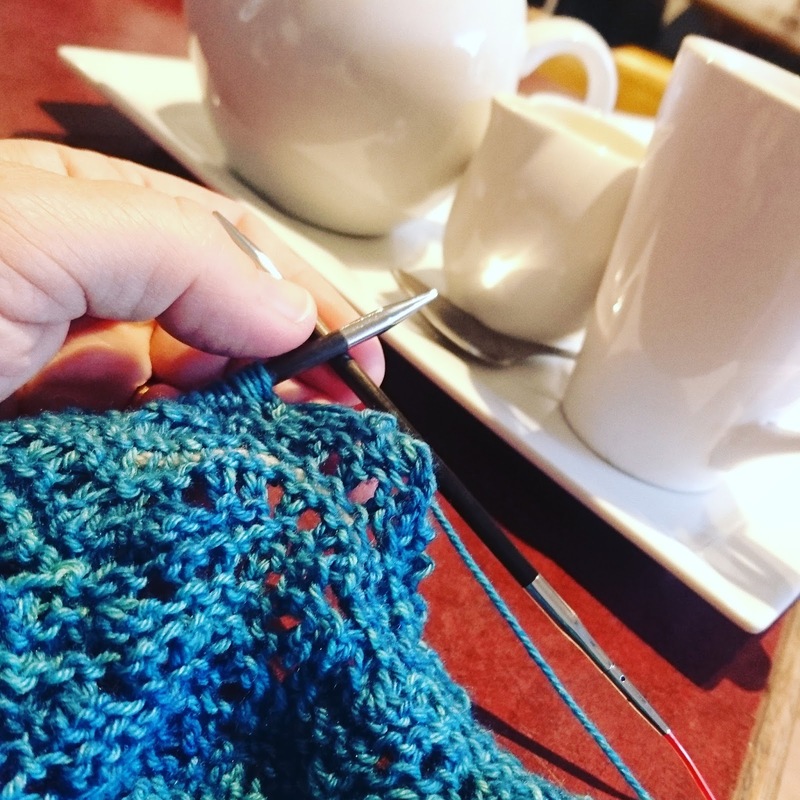 Knitting is my down time, and usually happens when I'm sitting on the couch, watching TV. I may or may not also be sipping wine. I'm not telling. Either way, I'm usually shattered, and not so great at keeping track of things. So, I made sure I put stitch markers in between each lace repeat - that's the set of stitches that is going to make once section of lace. Every lace pattern is different. It meant that each time I came to a stitch marker I knew it was time to start the lace stitches again. Because I'm still learning how to 'read' my more complex knitting, it meant I didn't have to keep trying to figure out where I was up to. It also meant that I could 'fudge' an error - by finding a way to get back to the correct number of stitches (yes, I'm all for cheating! I know I did this a few times, but even I can't find where I did it). 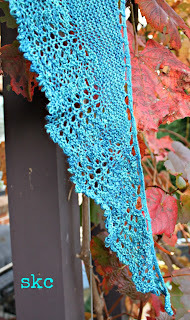 That way a mistake in one section didn't throw out the whole row of lace. In all my projects I use a row counter to keep track of where I'm up to in a pattern. 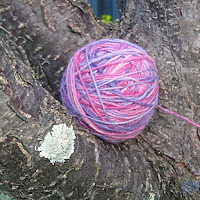 The one I use at the moment is an app called "Knit Tink" - I'm using the free version. I can set up 3 different patterns, enter the number of rows in a section and how many times the section repeats. Then I just tap the app each time I finish a row. There's lots of apps available. I quite like this one.